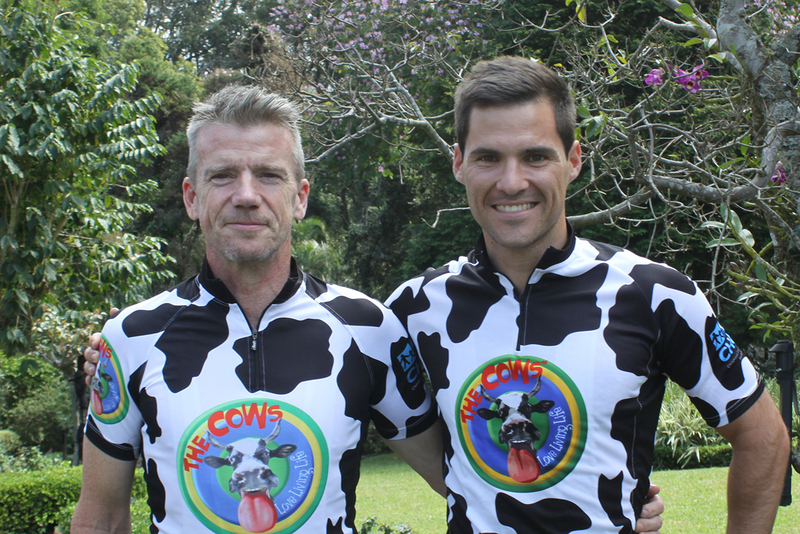 Eager to set themselves a new challenge, the unbeaten tandem cycling team of Bryan Cusack and Brennan Anderson have set their sights on a staggering 600km endurance ride that will end with an attempt to defend their tandem title at the upcoming Tsogo Sun Amashova Durban Classic on 21 October, all to raise money and awareness for The Cows and their CHOC Childhood Cancer Foundation fundraising efforts. “We wish Bryan and Brennan the best of luck in their training leading up to this heroic effort that will end with us cheering them on at the finish line of the Tsogo Sun Amashova,” stated Tsogo Sun Amashova Race Director, Annie Batchelder. “We have seen a significant increase in the number of cyclists riding for a cause in this year’s race and it just speaks volumes to how the social aspect of the race has grown, which is reflective of ‘The Spirit of Shova’,” she added.